9.05mm x 21.04mm / 0.356in. x 0.828in. 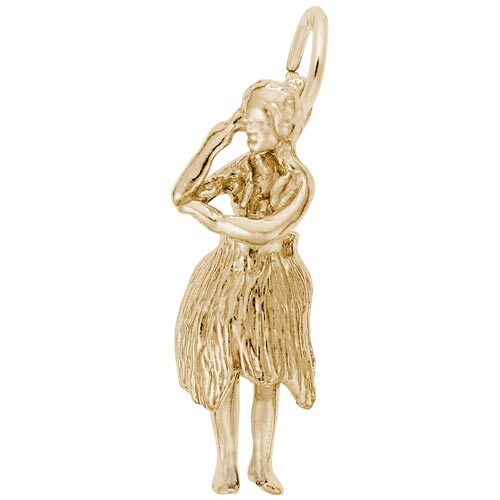 Hawaiian Dancer Charm by Rembrandt Charms. The height is 7/8 of an inch. Remember a luau or hula lessons you had while on vacation in Hawaii by adding the Hawaiian Dancer Charm to your charm bracelet. This dancer Jewelry piece can be placed on a necklace as a pendant or will be a wonderful addition as a charm for a Charm Bracelet. All Rembrandt Charms are available in either silver or gold.